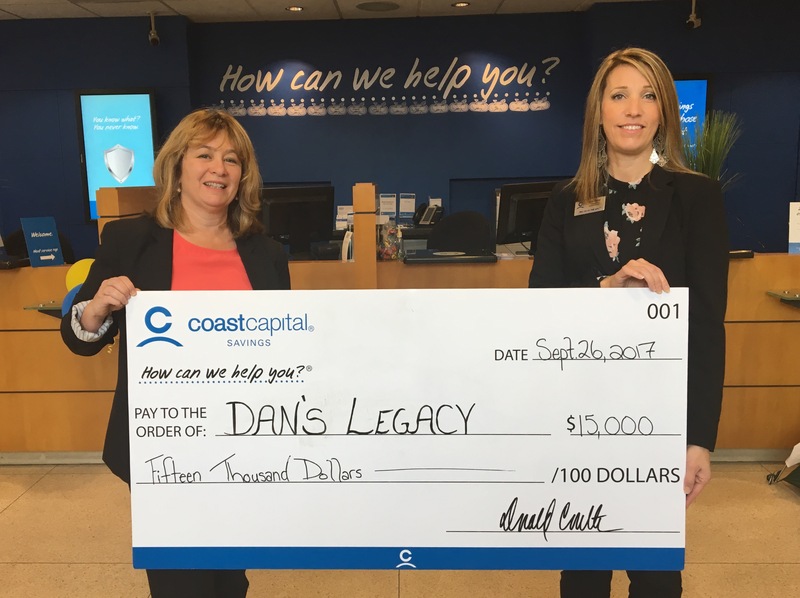 Coast Capital Savings recently provided a grant of $15,000 to Dan’s Legacy in support of the charity’s new Surrey-based Supported Program for Youth with FASD. Working in partnership with the Asante Centre, the fetal alcohol spectrum disorder (FASD) mentorship pilot program allows trained leaders with FASD to help younger peers understand their abilities, develop self-advocacy, and learn life-skills. The workshops will take place at the Pacific Community Resource Society’s location in Surrey. Youth diagnosed with FASD are statistically more likely to endure trauma, are at risk of poor life outcomes such as early school dropout, justice involvement and unemployment. Specialized support services are rare in British Columbia, though youth who are appropriately supported can achieve positive results. Noting this gap, Dan’s Legacy and the Asante Centre teamed up to offer a pilot program that uniquely embraces a peer leadership model, all with clinical supervision of Dan’s Legacy’s trained therapists. For more information on the FASD pilot program or to register, please click here or contact Barbara Coates, Executive Director, Dan’s Legacy at barb@danslegacy.com or Allison Pooley, Program Director, The Asante Centre at apooley@asantecentre.org.